Q: How does sdi lien effect ttd? Q: Why did my judge changed after I picked up form to file a complaint? 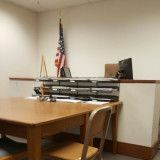 If the judge approved the motion to dismiss, then you must file a Petition for Reconsideration within the statutory period or the ruling will be deemed permanent. As for the new judge, it is common for the court to change judges, especially after a complaint. Q: I got into car accident en route to a worker's compensation hearing. I'm having pain. Can I file a work injury claim? No. This is not considered part of your WC case. Only travel to medical appointments is covered. Q: Worked as a "per diem" physician at Kaiser. Injured in parking lot after shift. Worker's Comp vs peronal injury? 1) No, you are not required to provide notice prior to filing a claim for workers compensation benefits. Q: Are there any exceptions to the rule for labor code 132a past the one year statue? I do not know of any exceptions for the Statute of Limitations for a 132a claim. The statute simply says one year from the incident. So it is probably too late for a 132a. Q: My car was a hit and run in the parking lot, at my worker's comp hearing. Can I be reimbursed for the damage? Not through workers compensation. Court Hearings are exempt. You cannot get reimbursements for attending a hearing. Your only option is to proceed in the civil courts if your car insurance company for some reason refuses to provide coverage. Q: Is “date of last incident” the last day I worked or is it the last date of misconduct? If you have a valid workers compensation claim, and you were on modified duty when you were terminated, AND the employer was unable to provide modified work that fit your limitations, then yes you have a 132a discrimination claim before the Workers Comp Appeals Board. Within the 132a you can argue the merits, or lack thereof, of the termination proceedings. The date of the incident is the date used for a 132a, and the statute of limitations for filing a claim is one year from the event. Q: What is the strategy of the defense for scheduling an msc less than thirty days after qme appointment. It's impossible to know what defendants are thinking without more information. However, if your medical providers have found you MMI and the defendants have requested an MSC, my guess is the defendants want to close out the case before you can get additional discovery or amend your case. Yes, the insurance carrier can deny your case at any time. However, there may be consequences if the denial is improper. Technically, if your claim is not denied within 90 days of notice, then it is presumed to be a work injury by statute. This appears to be the case with you. At this point, since you have been appealing your case for so long, it might be time to seek representation. Q: Will I need an attorney if I don’t want to settle? Q: Why would the Insurance carrrier change attorneys? You can always sue, but that does not mean you will win. In California you cannot bring a wrongful termination suit before the workers compensation appeals board WCAB, so you want to find a civil attorney practicing employment law, not a workers compensation attorney. Q: In a CA workers comp case can the Ins Co deduct child support from award that I already paid from my TD checks? Q: Does "sick pay" medical benefit payments qualify as a salary continuation plan as justification to avoid a WC penalty ? Q: what steps do I need to take to have insurance carrier to pay benefits if my claim is now accepted. The only recourse is to go to court and have the WCJ order them to pay. No matter what the status of the acceptance/denial, if the insurance company is not paying benefits and the medical records supports those benefits, you must seek court help. If you believe the lack of payment is in bad faith, then you can seek a penalty of up to 25% of the benefits denied up to $10,000. Q: Are independent contractor home care workers covered under Workmans comp in California? Q: in California workers comp system can you get cost of living increase? Only certain types of benefits can be adjuster for inflation, the most common one is permanent disability. If you have a 100% permanent disability then your benefits are adjusted for inflation by statute. As for Temporary Disability, it is revised annually to reflect increases in the cost of living. Q: I need anattorney that knows tribal law. I broke my foot at work. Workman comp denied my case. Morongo had me go out.